Sri Ramalingeswara Modern Rice Mill (SRMRM) was started in 1982 by S Krishna Reddy. In the last three decades, SKR has established SRMRM as a leading supplier of best quality premium rice. Cow & Calf brand is our registered trademark, a well known and household brand across the globe. In the early 1980's, cow & calf has been a trendsetter by creating brand awareness among consumers and rice processing industry. 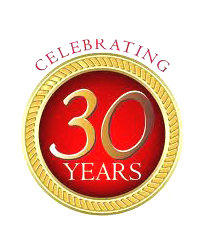 Celebrating over 30 years of leadership in rice processing, SRMRM has millions of customers across the country. 100% sortex clean and most hygienically packed Pure Old Raw Rice, with nil brokens and very high quality is our USP. We have the latest and highly sophisticated state-of-the-art processing – Satake Japan Technology to cater the needs of the global clientele on par with international standards. The capacity of the plant is 400 TPD.